There is no shortage of cameras available. You’ve got mirrorless cameras, DSLRs, point-and-shoot, action cameras, among many more varieties. More-or-less, all of these cameras do just about the same thing, just in varying degrees and qualities. However, we just came across a new Kickstarter campaign that has a very unique approach to the camera. 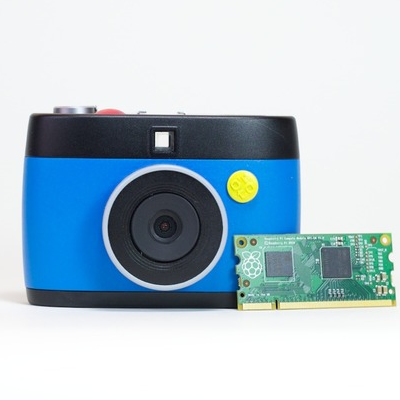 OTTO also, as mentioned in the quote above, is the first camera to allow users to snap GIFs. The GIF capturing is incredibly simple to use. The camera, “has a rotating crank that pops up and folds out from its top. Crank to make a GIF. When you’re done, rewind the crank one turn and your GIF is done.”3 When using the camera, Otto automatically syncs with the smartphone app, making any and all photos viewable directly from the connected phone. Modes are like tiny apps that define how OTTO makes pictures. In other words: modes change what happens when you press OTTO’s shutter button or turn it’s built-in crank. All of the early bird deals were snagged pretty quickly, so the only way to get an OTTO is to pledge $249 to their Kickstarter Campaign.